If you were hooked by the first Temple Run, you will surely be catching your breathe once you get your hands on its highly anticipated sequel, Temple Run 2. Now available on both iOS and Android, this game from Imangi Studios retains the adrenaline-pumping “run for your life” gameplay while improving the looks and all the “bells and whistles” of its predecessor. The first time you run this game, you will immediately notice the changes that Imangi made. It is no longer the “linear” side-to-side swiping game that you know, it also slopes and turns on its own as it follows the more complex trail laid out for the character to run on. But aside from the basic catch-me-if-you-can premise, you will also need to come up with a strategy to optimize your temple-looting experience. The following are some of the tips that you will find useful as you literally move forward with the game. While Temple Run is known more as a game of distance, the overall score also hinges on the amount of gold you were able to pick up. Greed is definitely good in this game, as the coins littered along the path dictates how much you’ll be able to upgrade your characters and boost your overall performance. The first thing that you can do is boost the “Coin Values” upgrade. This way, you’ll be able to pick up the double and triple coin bonus on the track, depending on how far you are on the run. Just like the first game, this type of bonus can easily pump up your scores, but since they appear late in the runs after you reach a certain distance, you’ll be more exposed to pitfalls and obstacles that can easily derail your game. This is probably the aspect of the game that was great overlooked on the original version. Unlike other games that would really press you to complete missions to see significant improvements on scores, Temple Run was more relaxed. You’ll still be able to hit the multiplier upgrades as you keep playing the game. 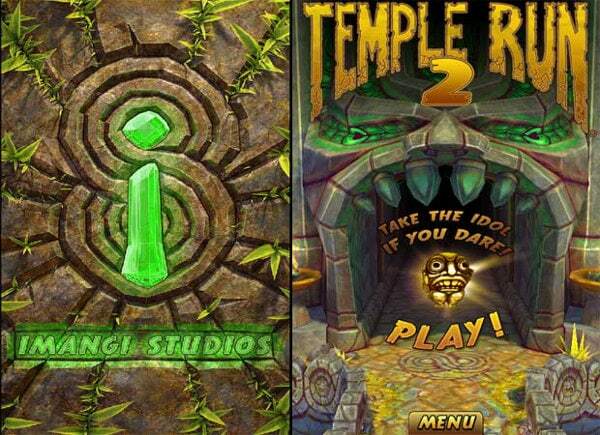 This time, Temple Run 2 offers players the chance to quickly go up the ranks simply by completing the objectives. So instead of hitting the track immediately for quick coins and points, you might want to check your game’s progress and see the next available objective. Try not to play aimlessly; devote several runs just to get some objectives done and get more multipliers for your score. If your objective is just racking up coins and points, or beating the current record distance, you will probably overlook missions like going for 1000 meters without picking up a coin. If you’ve played the first Temple Run long enough, you tend to develop a certain disgust of the included power ups except for the magnet. Some would even go as far as re-installing the game, just so they can undo choosing and upgrading all the power-ups that they feel distracting during their runs. With Temple Run 2, all the power-ups now have a purpose. And even without “buying” them, they’ll already randomly appear during runs. These are now unavoidable game elements that you’ll have to live by throughout the game. But as it turns out, these power ups now have a renewed sense of purpose. Obstacles have become quite frequent, and the gameplay evolves as you go further. Picking up a distance boost or a shield will surely help you go a long way. 5 Racing Games for your Android. 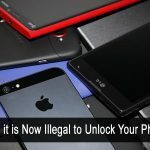 Top 3 Free iPhone Games. Just like its predecessor, Temple Run 2 is the perfect time-waster. This is great when you’re on a break to help unclog a mental block, or you’re waiting for a call on your RingCentralbusiness phone. At 45 MB for the iOS and 32 MB for the Android version, Temple Run is light on the memory and a breeze to download. Yeah, quite a lot of bugs are there to be ironed out. Also, the tilt functionality doesn’t work as expected and we have to tilt much more that normal. Yes forgot to mention that Too. When I have to Tilt the mobile to completely other side I can’t even see where the Player is leading where unexpected Turns finish the Game. WAhA!! Lets see whether i can score high or not, but i personally i prefer playing Temple Run 1 more. I thought it would be some tips or cheat codes. These are just simple gaming rules. I have tried out Temple Run 2, well its not that much easy to play version. I still love the previous version only! In the first game I found a trick that let me go forever without dying. I would use the wings and die right before they wore off; when I respawned my speed was lower. I could keep doing this forever, and got a great score. Is this possible in the new game? Wow that’s genius, can’t wait to try that. I used to run this game on my iPhone and it is simply best.Now I have android phone and installed temple run 2 .But I like the first version.I don’t know whether its my phone’s fault or if temple run 2 is not good enough. Last version is much better to understand and play. Many time I just stuck with the over whelming 3D graphics that Temple Run 2 Providing. I still love Temple Run classic.